Hi all, it gives me great pleasure to announce that we have been officially awarded an RV Investigator voyage to study the Halimeda (green calcareous algae) build-ups in the Great Barrier Reef (project details below). After McNeil, M. A., Webster, J. M., Beaman, R. J., and Graham, T. L., 2016, New constraints on the spatial distribution and morphology of the Halimeda bioherms of the Great Barrier Reef, Australia: Coral Reefs. With colleagues from JCU, QUT, UQ, Queensland Museum and overseas, we have been awarded 33 days of shiptime in 2020 from the Marine National Facility. 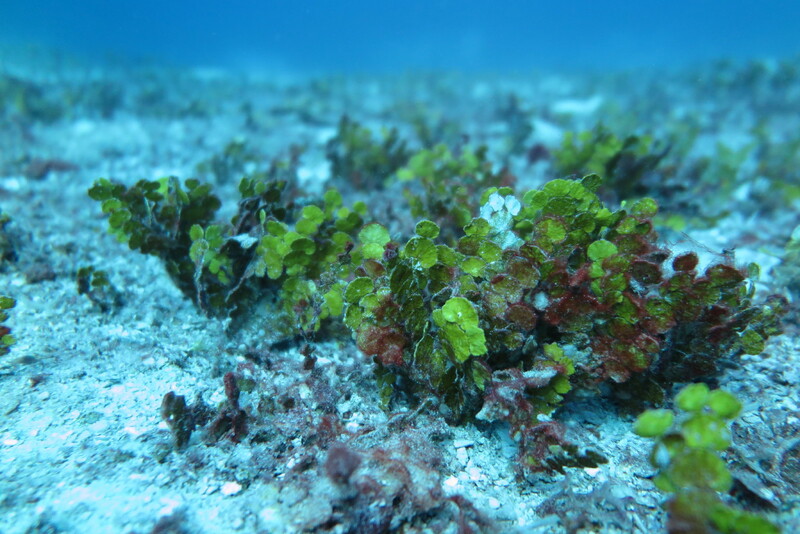 Calcareous green alga Halimeda is a major contributor to coral reef shelf sediments and is found along the entire GBR. Previous studies of extensive Halimeda deposits, or bioherms, show they represent important inter-reef habitats and potential carbon sinks in the GBR Marine Park, covering about 26% of the northern shelf area, at least equal to the modern coral reef system. 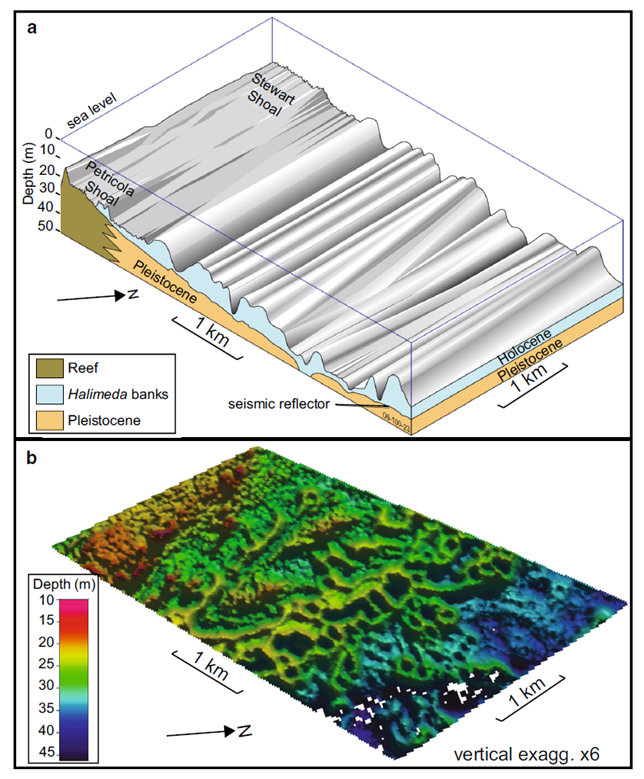 Pioneering work in 70-80s using widely-spaced, singlebeam and seismic profiles indicate the bioherms are in depths of ~20-40 m and form linear ridges and flat-topped mounds up to 20 m thick. However, new bathymetry data reveals a completely different picture of their surface morphology; characterised by complex reticulate (honeycomb-like) shapes and cyclical internal reflectors continuous over 100s of m. These new findings suggest Halimeda bioherms are more complex than previously thought – challenging existing paradigms describing their origin, development and significance. 5) Assess the importance of the bioherms as modern, inter-reef benthic habitats. This research will increase our fundamental understanding of the processes that control bioherm development, and have direct implications for environmental managers tasked with predicting how these poorly studied inter-reef environments might respond to future climate change.